Single woman’s ‘toxic’ dating criteria. 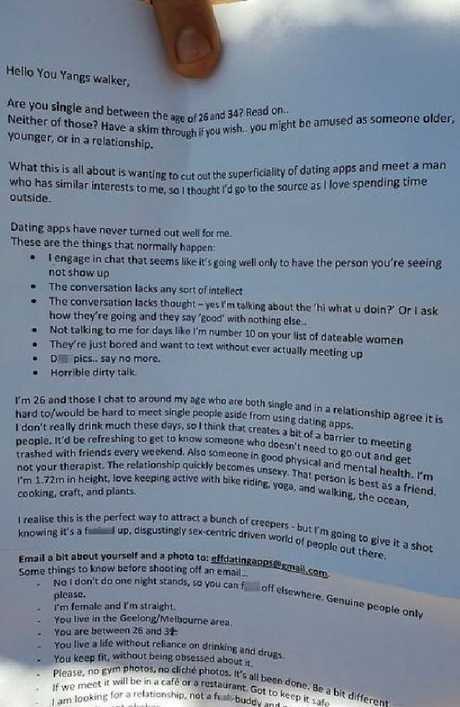 A SINGLE woman who is fed up with online dating has taken to the streets to find a new man, posting a hopeful list of her future partner's requirements through random front doors. The 26-year-old from Melbourne said she was over the "superficiality of dating apps" and instead wanted to try to meet someone the old-fashioned way - without drinking alcohol. "Dating apps have never turned out well for me," she wrote on the lengthy letter. "It would be refreshing to get to know someone who doesn't need to go out and get trashed every weekend with their friends." 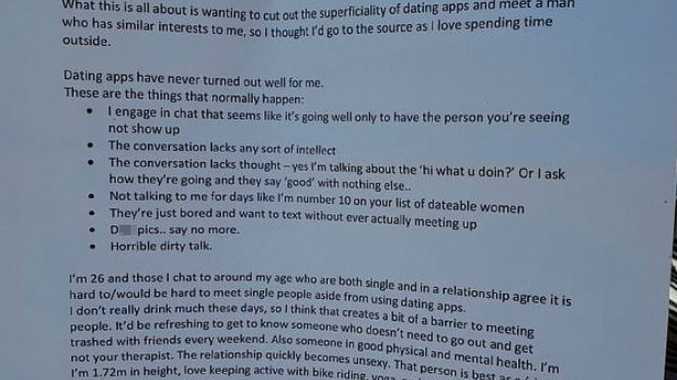 Single woman’s ‘toxic’ list of dating demands was shared online, where it was received with mixed reactions. Stating her future man must be in good "physically and mental health", not a "creeper" and also "fit", some Reddit users - where the list was shared - have pointed out she may struggle to find someone with all her demands. "Wants a committed long-term relationship but also refuses to be part of a partner's mental health. Yeah this sounds like one toxic individual," one person wrote. Another agreed: "Calling poor mental health 'unsexy' is potentially the most vile commentary I've ever heard." "Really, this is a kinda shallow list no different to anything you'd see on a dating app," another said. "The problem is her unnecessarily mocking and derisive way of going about expressing that," someone else weighed in. However while some were put off her forward-thinking method, others praised her for being proactive in her quest for love. "Is it necessarily wrong to look for good mental health in a romantic partner?" a user chipped in. While another helpfully declared: "Humans are complicated." The unknown woman from Melbourne is looking for a relationship and not interested in time wasters or d**k pics. 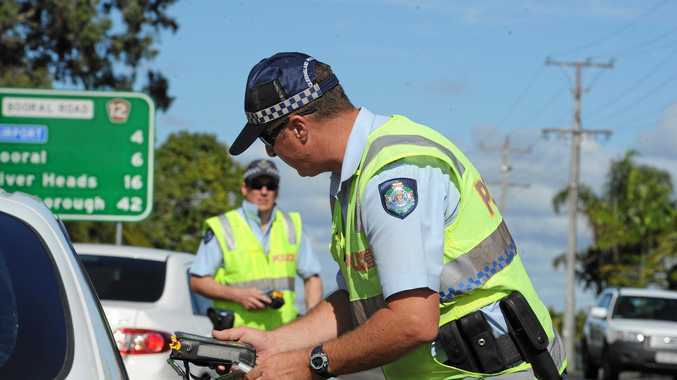 She also stated her future man needed to be between the age of 26-34 and lives locally in the You Yangs area. "I am looking for a relationship, not a f**k buddy, so no commitment-phobes," she wrote. During her unorthodox quest to find a partner, the anonymous woman described all the dating disasters she'd experienced on Tinder, including being stood up and having conversations lacking "intellect" or "thought". She'd also been the victim of the unsolicited "d**k pics … say no more". If her long list of requirements doesn't put you off, she explains she's looking for someone who has shared interests, revealing she loves keeping fit with activities like yoga, bike riding and walking.